For his long years of leadership in the study of metallferous ore deposits during which period he has contributed immeasurably not only to our knowledge of them but particularly to the methods of their study by meticulous observations underground. Reno Haber Sales, who presented the first Jackling Lecture in 1954, could "he regarded as the ideal type of school of mines graduate." Born at Storm Lake, Iowa, in 1876, Dr. Sales received a B.S. from the Montana State College in 1898. In 1935, that same college awarded him an honorary D.Sc. In 1890, Columbia University conferred on him an Engineer of Mines degree. In 1900, Dr. Sales went to Butte as an engineer for the Boston and Montana Consolidated Copper and Silver Co. In 1901, he became assistant to H.V. Winchell who had undertaken the organization of the Anaconda Co. Geological Department. In 1906, Dr. Sales became Chief Geologist. Under his leadership, the department became the outstanding organization of its kind in the world, developing a system of precise, geologic field mapping which proved highly successful in legal defense and protection of the company's rich ore bodies. It l1as been said that this work earned for Dr. Sales "the undisputed title and honor of being the father of mining geology." He retired as active Chief Geologist in 1948. Among the many awards conferred on Dr. 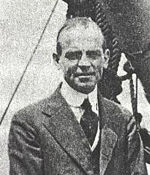 Sales were the Penrose Award of the Society of Economic Geologists in 1939, and the Columbia Engineering School Alumni Association Award in 1942, His paper, "Ore Deposits at Butte, Montana," published in the Transactions of AIME in 1913 is regarded to this day as the soundest authority on its fundamental structure. Vincent D. Perry will accept the Certificate of Honorary Membership on behalf of Dr. Sales who is ill.